From East Yorkshire's Wolds and Derbyshire's Peak District to the North Yorkshire Moors and Pennines, you will find the valleys among the rolling hills, the limestone scars, the gritstone ridges universally known as 'Dales'. This vast area provides some of the best & most varied walking opportunities in the country. Dales Trails gives you some ideas how to explore Yorkshire and other parts of Northern England on foot, and find hidden delights off the beaten track. You can follow one of my medium distance Trans-Dales Trails, try one of my day walks as featured in 'Walking with Underwood' , or join one of the two Walking Clubs featured below. There will still be the photo album link via Facebook after each walk. These commence on May 8th with a walk from Hornsea (Mereside) via Wassand, setting off promptly at 7.00pm. Locations for the evening walks are listed on the Calendar. These are subject to confirmation and volunteers to lead these walks are required! Download the provisional 2019 Evening Walks Programme (May-Aug) pdf file to view, save or print. For promotions and offers from Tog 24 Outlet Store, Hornsea Freeport. 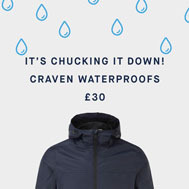 Tog 24 is a Yorkshire Company, established in 1958, specialising in Outdoor & Leisure wear. Footpath upstream of Mallyan Spout - closed due to land-slip. * HDWC Short Walks - 1st Sunday of each month. * HDWC Long Walks - 2nd and 4th Sundays. * LWC Walks - 3rd Sundays. Details are based on information supplied to me. A shorter 7 mile circular walk from Fordon via North Cotes Road. 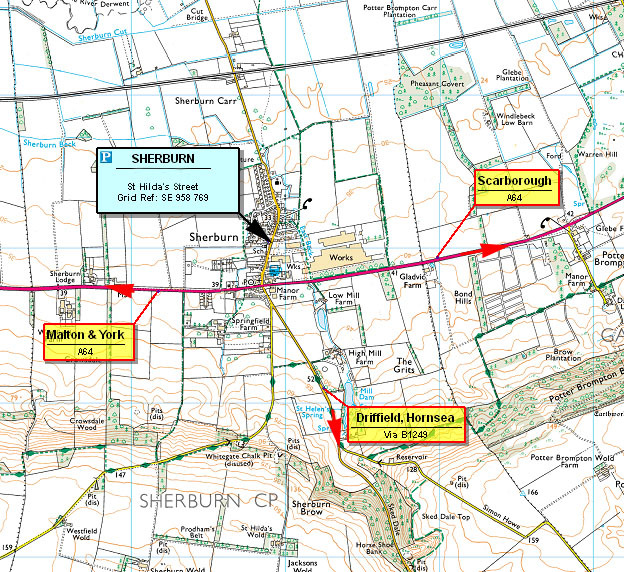 Meet at Fordon Crossroads for a 10.30am start. New walks will be added regularly to give a selection of walks for you to experience England's Landscape at its finest. A walk for all seasons linking the picturesque villages of Sinnington, Appleton-le-Moors, Spaunton and Lastingham, but especially so in the Spring when the daffodils are in flower by the river in Sinnington and elsewhere. Booklets for my three Trans-Dales Trails are now out of print, but it is intended to make these routes available as free PDF file downloads. Trans-Dales Trail 2 and Trans-Dales Trail 3 are now available to download. Go to Trans-Dales Trail 2 or Trans-Dales Trail 3 and follow the links. The weather this month was much more unsettled caused by a couple of storms passing over giving heavy rain and gale force winds! However all but one of the scheduled walks missed the worst of the weather, although for others there was still the strong winds to contend with. The 'short' walk today coincided with a significant birthday (70th!) for Joyce. So at the start at Bishop Wilton, bottles of Prosecco, and birthday cakes were shared among various rucksacks for the birthday celebrations at lunch time. On an overcast day with the threat of rain later, the thirteen of us set off alongside Bishop Wilton Beck. After a brief coffee stop we passed through the hamlet of Meltonby from where we climbed up onto the Yorkshire Wolds to arrive at Great Givendale. We took our lunch break by St Ethelburga's Church at Givendale and celebrated Joyce's birthday with the Prosecco and birthday cake. With rain in the air, we soon were on a way back to Bishop Wilton following the Minster Way along the top of South Cliff. We then headed down the hillside to join the road for an early finish at about 2 o'clock having walked 6½ miles. For tea and more cake, we stopped off at Sledmere on the way home! The weather certainly put a 'dampener' on today's walk, with a return to winter with a forecast for rain, even sleet and snow, and strong NW winds. A pity as car-parking had been arranged at Worlaby Village Hall and a table booked for afternoon tea at Elsham Country Park tearooms. As it was eight braves souls set off from Worlaby to climb past the church onto the Lincolnshire Wolds. Initially there was only light rain and light winds, and the view back from the top was better than we expected. However once on top there is absolutely no shelter to speak of! The walking conditions were pretty good - generally fairly flat farm tracks and country lanes - and we pressed on at a brisk pace and about an hour and 3 miles into the walk we came to the Burnham Lane underpass below the A15. This provided an ideal spot out of the rain for a coffee break, although it was also a bit of a wind tunnel! From there we joined the Viking Way - and the rain started in earnest, and the wind picked up - for the next hour and another 3 miles across the exposed Elsham Wolds. Near Elsham Top, the skies brightened and the rain stopped. Although no shelter from the wind we took the opportunity to make a brief lunch stop. Continuing along Middlegate Road back under the A15 and downhill to Elsham village. The street names hereabouts are all adorned with crests of RAF Squadrons that were once based at RAF Elsham Wold - now the site of an Industrial Estate near the A15 road. For the last couple of miles the skies brightened and the sun broke through, drying us off a bit by the time we got back to Worlaby. There were still heavy, wintry, showers about and we almost got caught in one at Elsham Country Park tearooms! It had been a week of stormy weather, but by Thursday things were improving - it was warmer, there was no rain or sleet, but it was still very windy. So under blue skies, me and Suzie set off from Huggate down Cow Dale, up Oxlands Dale and headed east on the Chalklands Way with a following wind. By Freshlands Farm we had commenced turning back, first the wind was side-on, then as we turned west on the Hawold Bridle Road it became head-on. There is no shelter on the Hawold Bridle Road so we took an early lunch stop by a small wood near Freshlands Farm before starting the 3 mile battle against 40mph winds. No stopping, it was heads down and press on. We actually made quite good time, so back in Huggate we added an extra 'loop' up to the top of Farmer Sam's fields where there is a great view back towards Huggate. Then it was back down York Lane into Huggate stopping off at Rachel's Tearoom for tea and freshly backed scones. From the tearoom back to the car we looped round by the pond and the church to complete nearly 9 miles of walking. A bright sunny day, but with a chill wind for today's LWC walk from Huggate. Fifteen of us set off towards Northfield Farm to join the Yorkshire Wolds Way. At the convergence of Holm Dale and Horse Dale we turned to walk up the length of Horse Dale (Access Land) and paused for a coffee stop where there was some shelter from the wind. After crossing York Lane we dropped down through the woods into Tun Dale. Here we came face to face with Beverley Ramblers, walking a similar route but in the opposite direction. After exchanging pleasantries we continued on our separate ways. Whilst still in the relative shelter of Tun Dale we opted for an early lunch break in the sunshine. After lunch we continued down the length of Frendal Dale to the Millington Road and then up onto the top of Nettle Dale. There were no nettles but the gorse was in flower, adding splashes of colour to the scene. We followed the Hawold Bridle Road as far as Mill Lane then back into Huggate. Being a little too early for our 'booked' time at the tearoom we continued round by the pond and church back to our cars. 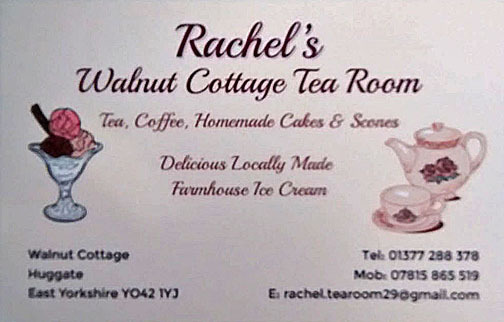 Having changed out of our boots about 10 of us walked back up the village to Rachel's Walnut Cottage Tearoom. Here we discovered other 'ramblers' had bagged our space! However Rachel opened up an 'overspill' conservatory for us, whilst three of us sat outside in the sheltered garden, for welcome cups of tea and scones. Only a 7 mile walk today with Suzie, but it was quite 'challenging' because it crosses Garrowby Hill, the highest point on the Wolds in East Yorkshire, ... twice! The walk explored access land near Bishop Wilton and near Kirby Underdale, linked by the route over the hill. Initially climbing out of Bishop Wilton above the 'bowl' in the hillside and above Worsendale then once over the hill, we deviated at Megdale Brow to explore the access land around South Wold Dale. A permissive path created by the Lord Halifax Estate links this access land with Painsthorpe and Kirby Underdale. After lunch in the churchyard at Kirby Underdale, we were faced with the long gradual climb up to Megdale Brow to retrace our steps over Garrowby Hill Top, at about 800ft above sea level. This time we dropped down into Worsendale access land to join Worsendale Road back into Bishop Wilton. On our way home we picked up my granddaughter Chloe (aged 2) because I had agreed to look after her overnight on my own! Today was to be the first venture on to the North York Moors this year and 17 walkers gathered at Gillamoor for a 9 mile walk into Farndale to see the famous daffodils. It was a bright clear day but with a chilly north-westerly wind, which was fortunately behind us for much of our way across the exposed Harland Moor, at about 1000ft above sea level. Looking down on Farndale from the edge of the moor, we could see that Low Mill was very busy with many cars in the car-park. We therefore took our lunch stop in the shelter of the woods at Petergate, before dropping down to Low Mill. After a brief stop at Low Mill we headed along the road to Rawson Syke where we took the track down to the River Dove at Dale End Bridge. This section is off the 'tourist daffodil route' but there was a good show by the river. We met two groups of Ramblers from Washington (Tyne and Wear, not the USA). At Lowna Bridge we reached the road and the steady climb back up to Gillamoor. Afterwards most enjoyed drinks, tea, coffee, or beer, in the Royal George in Gillamoor. It was a lovely spring day for this extra walk. Fifteen walkers, not deterred by the one hour less sleep due to the clocks going forward, met up by Mauley Cross, a remote spot on the edge of Cropton Forest for this walk into Newtondale, led by David Holtby. By coincidence this walk was on the first operational weekend this year for the NYMR, with a guest appearance of A4 'Union of South Africa' scheduled. Our route was contrived so that our lunch spot & time in Newtondale would coincide with this locomotive passing by. Alas, 'Union of South Africa' was unable to attend - piston/cylinder problems - and a substitute in the form of 34092 'City of Wells' was arranged, loaned by the East Lancs Railway. Our walk took us along the northern fringe of the forest with views of the Moors, then past Wardle Green to a viewpoint overlooking the NYMR snaking through North Dale. From there we walked towards Needle Point, but a misunderstanding between those at the front and our leader (near the back!) meant that we began our descent too soon, via a steep, muddy, severely eroded path definitely not for the faint-hearted! After much slipping and sliding and tree-hugging we all safely got down to the forest road which runs parallel with the NYMR through North Dale. A bonus for this mistake was that we got a good view of B1, No. 1264 steaming through the Dale on the supporting train service. We found a spot for our lunch-break overlooking the railway and precisely on time guest locomotive 34092 appeared, wearing full 'Golden Arrow' regalia, heading down the dale towards Pickering. (34092, along with 34091, was dedicated to powering the 'Golden Arrow' boat train between London to Dover in the 1950s). After lunch we walked down Newtondale then turned to climb steadily past Raper's Farm up to Raindale Head and through the forest back to Brown Howe Road and Mauley Cross to complete an excellent and at times, strenuous, 10 mile walk. On the way home, most of us called in at the Steam & Moorland Garden Centre for tea and cakes. 25 years ago myself and three friends completed the Pennine Way from Edale in Derbyshire to Kirk Yetholm in the Scottish Borders. The document telling the story of that epic adventure has just come to light after being thought lost. Written back in 1990 using a Commodore 64 computer and saved to a long-lost 5¼" floppy disk, this printed draft was the only copy of our story. As I laboriously re-type the document, I will 'serialise' it on this website in 15 chapters, one for each day of or walk. So if you are interested (Days 1 - 8 so far), follow this link Pennine Way Conquered. GOOGLE+ is being closed down in April. Links to recent walks photo albums are shown at the top of this page. These Trails, Trans-Dales Trail 1, Trans-Dales Trail 2 and Trans-Dales Trail 3, are each about sixty miles in length and can be comfortably completed by anyone that is reasonably fit in five days, with four nights Bed & Breakfast accommodation. The routes establish links across the Yorkshire Dales using some of the public rights of way that are less frequently walked. There are three booklets in the Trans-Dale Trail series, each giving a detailed description of the route. The booklets are now out of print, but it is intended that the routes will be downloadable for FREE as PDF files. Currently Trans-Dales Trail 2 and Trans-Dales Trail 3 are available as PDF files. Arnold Underwood is an experienced walker and a leader of his local walking club. He lives near Beverley and is the East Yorkshire correspondent for Country Walking magazine. He has walked the Ridgeway (1983), the Pennine Way (1990), the Dales Way (1993), and A Bowland - Dales Traverse (1994), the latter two with Peter Tomkinson. He has walked much in the Yorkshire Dales, Moors, and Wolds, including completing the Three Peaks, Lyke Wake, and Saltergate challenge walks - the last two again with PeterTomkinson. Arnold devised the three Trails with the help of Peter Tomkinson, and together they walked each of the routes - Trail 1 in 1995, Trail 2 in 1996, and Trail 3 in 1997. Peter Tomkinson is a former Scout Leader, and as such has done much walking in all terrains and in all conditions. In addition to those walks mentioned above he has also completed the Cleveland Way, Minster Way and the Ebor Way. Leven Walking Club is a long-established club. Members suggestions result in a varied programme of walks on the Yorkshire Wolds, North York Moors and elsewhere. Go to Calendar for walking programme. For further information contact Arnold Underwood on 01964 543883 or 07989 292522. Read Bogtrotter's report in each issue of Leven Life. Hornsea District Walking Club is an independent club relying on its members for suggesting and leading the variety of walks. Go to Calendar for walking programme. Stuart Kemp's report in each issue of the Hornsea Community News.